The latest Photoshop CC delivers improved layer comps, blur gallery motion effects, enhanced smart guides, and expanded 3D printing capabilities. Stylus support on Windows 8.1 devices has been improved a great deal as well – it allows for smoother brush strokes thanks to higher-frequency sampling. A new preference setting has been added to enable users to try out experimental and yet to be released features. The settings currently enables support for high DPI monitors on Windows. It also allows touch gestures on Redmond’s desktop OS. 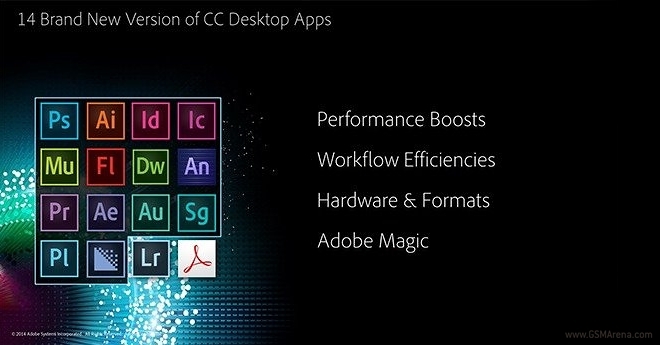 You can check out Adobe’s official promo video of the Photoshop CC release below. Pricing of Photoshop CC subscription kicks off at $9.99 a month.